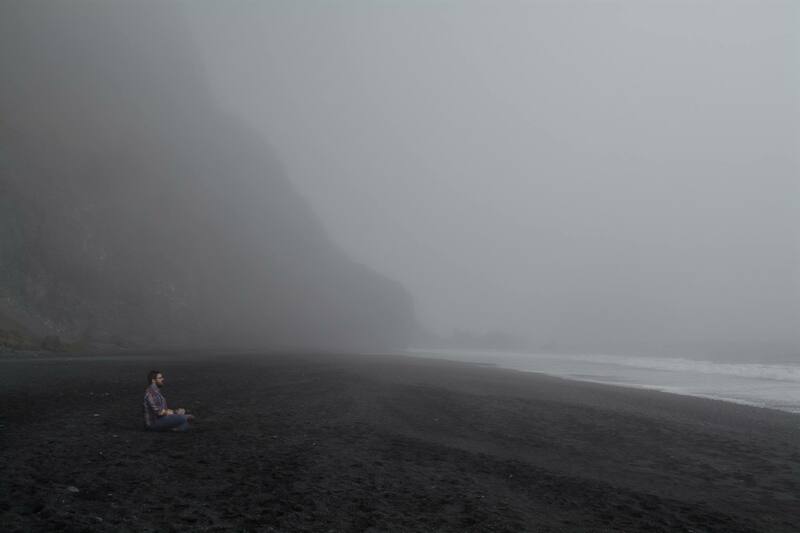 Iceland, land of mystery. Iceland, land of “fire, ice and cod” (as my colleague Rannvá says in her blog post. For Basque people, Iceland also supposes a land of conquer, risk and richness, as we used to sail into those cold waters of the North to hunt whales. That, and some other “issues”, are maybe why until no long ago, in some northern regions of the island, was legal to kill Basque people (ups!). However, lots of thing has changed in this country founded by Norwegian convicts (Is maybe Iceland the Australia of Norway? Or… Australia is the Iceland of the UK?). Nowadays, Iceland is the result of a country of survivors. People that was forced to struggle and win against the elements (wind mostly), natural forces (water, fire, lava…. you know, the common stuff when you live near volcanoes) and the fear of being eaten by…. No, at least, being eaten was not an issue. All those fights, produced a very special kind of people. People that even they look Scandinavians, and they behave like ones, in their inside, host a melting pot of Celtic bravery (result of the Viking activities of travelling and….bringing things home) and Basque and Mediterranean warmness (as we tend to visit them sometimes). All these ingredients had mix up, being lately spiced with United States toppings (as they host a big military base and population of the States) and after cooling down with glacial water, produce a unique kind of people: Icelanders. Welcoming, polite but noisy and, I must say I was very surprised by this, calm and relax people. As said, Iceland, land of mystery. And there, I was travelling the morning of past 17th of April (2017). Why? May you ask. Why were you traveling to Iceland when your research is based in the Northwester region of Spain, Galicia? The solution is simple. To compare. As my project was being developed, I considered it very important to develop a governance frame useful for any situations and systems. Once reasoned, I concluded that the best way to achieve my variety was to find the most remote and different fisheries system in Europe (but outside the European Union). In the end, my choices were Norway and Iceland. And… what is more different than anything known? Iceland of course. As I was saying, last 17th of April I leave the temperate Atlantic coast of Spain (Temperature: 16ºC at 8 am) to land in Keflavik that same night (Temperature: 2ºC at 22:30). My destination, our partner organisation Matís. The plan, to work there for 5 weeks. The objectives, to finish the development of my governance frame and to make contacts with the Icelandic fishing sector. And thanks to Jónas Rúnar Viðarsson I complete my objectives. I will not talk about my governance frame here. First, because is still under development, is a secret, and second, because as the main theoretical core of my thesis is not my intention to kill anyone of boredom. So, let’s talk about making contacts, stakeholder interactions and knowing the Icelandic fisheries system. During my first weeks in Matís, and after few meetings with Jónas to agree on the strategy (few because sadly he was very busy travelling) I contacted with the Ocean Cluster’s CEO Berta Daníelsdóttir. She opened the doors to the Icelandic trawling companies and help me contacting with the fishers association “Fisheries Iceland” (Samtök Fyrirtækja í Sjávarútvegi). There, one of their fisheries managers, Hrefna Karlsdóttir, welcomed me and my research and guided me to establish relationships with Icelandic Trawling Stakeholders. Although many companies were contacted, only 3 of them are now willing to collaborate with the rest of the project. Those companies are: Thorfish ltd (located in Grindavik, south of Reykjavik), Vinnslustöðin (in Vestmannaeyjar, on the island of Heimaey) and Frosti (HG Hraðfrystihúsið Gunnvör) (in Hnifsdal, in the Westjfords region). Map of Iceland with the locations and the logos of the companies that are going to work with us in the project. As can be seen in the map, Frosti and Vinnslustöðin are located in remote areas a bit far away from Reykjavik. Nevertheless, and thanks to modern technology (aka Skype) I was able to talk with them. In the case of Thorfish, I travelled until Grindavik, and that is something worthy of tell. 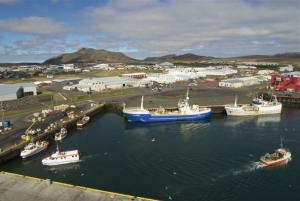 Grindavik is a small fishing village south of Reykjavik. To arrive there, we will have to take the direction to the international airport of Keflavik and turn left (south) in the same diversion that takes us to the Blue Lagoon (that belongs to the town). The land around the road is a remark of the most part of the island. Large areas with no trees (there are not many of those in Iceland) full of lava rocks and covered in moss (either green or yellow). When arriving in the town, it is clear that the main activity is fisheries. In the harbour, is easy to find people landing fish, repairing boats or just looking the boats come and go. Around the harbour, more than 7 fishing companies have their offices and around them, the activity is intense as many also have their fish processing plants there. The people of Thorfish showed me around and I was able to see lots of small longliners, some trawlers and a big purse-seiner landed there. Catch of the day, cod, mostly cod. In the visit, I also share experiences with them and thanks them much time for collaborating with us. And their answer was one of biggest cultural shocks of Iceland: “Off course we are going to collaborate, fisheries research is very important” (Eiríkur Óli Dagbjartsson, Share owner of Thorfish). I really hope sometimes Galician fishermen will think in the same way. I have only spoken about big trawling companies, and one could ask… where are the small boats? The vertebrate system of the Icelandic fisheries? No, I do not forget about them, and that’s is why I contacted with NASBO, the National Small Boat Owners Association (Landssaband smábátaeigenda). There, I talk with Axel Helgason (Chairman) and Oddbjorg Fridriksdottir (Office manager) about quotas, fishing rights and the situation of the small scale boats in Iceland. I have also to thank them for the willingness to participate in the project. During my time in Iceland, I also had time for fun and to visit some places of this extraordinary land. With the invaluable help of my project fellows Kristinn Edvardsson and Cezara Păstrăv and the Marie-Curie postdoc Gregory K. Farrant, I discovered caves, lava fields, waterfalls, and more of the wonders (the Blue Lagoon for example) that Iceland hides. 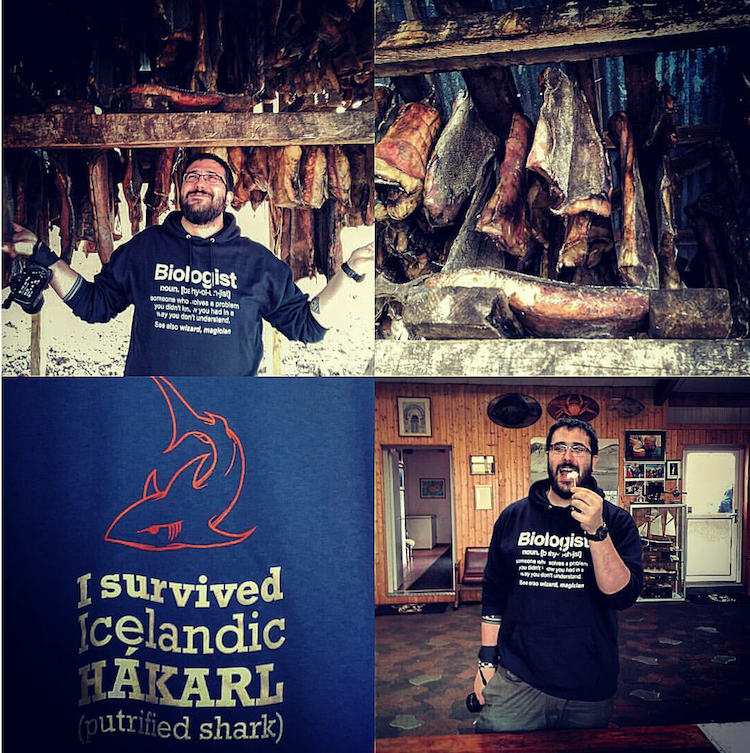 I also had fun, taste new foods (Rooten shark was a hit), went out and enjoyed the vibrant life of Reykjavik. As a conclusion, I just want to thank all the people that have helped me during this trip. This secondment in Iceland has been a unique experience that has boosted my research and thanks to that I sail with new energies.